So comedic actor Seth Rogen doesn’t hesitate to call Christians the A-word for supporting Hobby Lobby. Knowing that Christians don’t retaliate, maybe at worst start a picket line. But when Seth Rogen makes a film, “The Interview”, satirizing the “Great Successor”, Kim Jong-un, he turned and ran, hired body guards, and is too scared to even offer a quote. Seth Rogen is so fortunate to live in a country built upon Christian values. If he were in an Islamic or Communist nation, he wouldn’t be alive today. Keep up the bad work Seth Rogen. Great observation, Tito. It shows once again that left-wingers going back to Joseph Kennedy, Sr.,always cower before murderous dictatorships. Rogen is a particular brand of Canadian that I’ve seen a lot lately: scream at people bigger than you and then tuck tail and run when they come at you. Ever read stuff about American/Canadian dynamics? Seriously its like those people have nothing to do other than complain about American politics and then get offended if America doesn’t have time to worry over Canada. Must be nice only having one boarder that you share largely unguarded with an ally. Must be nice to only have one home grown terrorist (Ottawa); Americans deal with that all the time. And in Rogen’s case: must be nice having an easier time entering the States and enjoying all that it has to offer including making tons of money off Americans. The Mexicans have to wait (or cross a desert wasteland and hope they don’t die). Must be nice. Like all liberal progressive Democrats, Seth is a coward. He knows that what he supports as a liberal is intrinsically evil, and he knows what evil deserves, and he is afraid of receiving that which he does deserve. Though Rogen is not admirable, do keep your facts straight. This week’s Village Voice has a featured cover-page interview with him by noted film critic Amy Nicholson. What facts are those, Misty J? I just wonder why anyone would think it was funny or smart to make low class movie about assassinating the leader of a foreign country who has demonstrated his aggressive and abusive mental Illness. How smart can Seth be? A dimwit … juvenile sense of humor that taunts and pokes until the sleeping bear wakes up. No thought of what the consequences might be, beyond hoping to get rich and a moment of fame. Actually, Anzlyne, according to a senior defense analyst with the Rand Corporation, Bruce Bennett, though this is a crude film at some parts, Bennett says that this film would have seriously destabilized Kim ‘ s political leadership with certain NK elites. 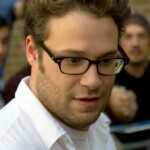 That is the pity: Sony and Rogen folded…predictably. Bennett makes the point that tens of thousands in NK death camps deserve more.